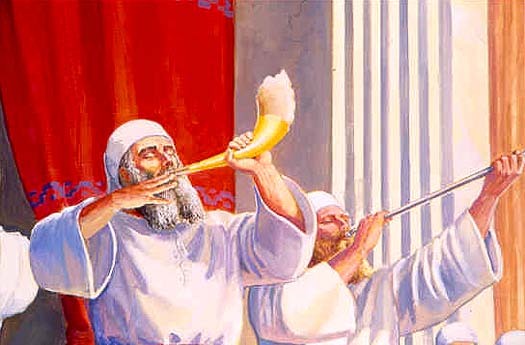 The Haftorah is read from the book of Yehoshua (Joshua): Sephardim read 1: 1- 9. Ashkenazim read 1: 1-18. Unbeknownst to Joshua, he inquires of a man that appears before him “Are you with us or with our enemies”? He said “No, for I am the commander of Hashem’s legion”. The connection of the Haftorah to Simchat Torah: The Torah reading on Simchat Torah deals with the death of Moses. This Haftorah talks about the story of Yehoshua, Moshe’s successor. 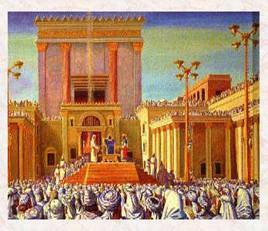 On Simchat Torah, we complete reading Devarim, the fifth and final Book of Moses. As a symbol of continuation, we read from the next book in the Tanach, which is the first book of the Prophets, Yehoshua. People have even gone as far as to say that Yehoshua is considered the sixth book of Moses. The storyline of this week’s Haftorah: Hashem appears to Yehoshua and after encouraging him to be strong, urges him to remind Bnei Yisroel to learn Torah constantly and consistently. Yehoshua does so and then he prepares the nation for war. He also reinforces the promise that was made by Hashem to the tribes of Reuven, Gad and half of the tribe of Menashe that they can live on the other side of the Jordan River if they fight with Bnei Yisroel. The Haftorah concludes with the Jews affirming their loyalty to Hashem and to Yehoshua. The meaning of his name means “Hashem will save”. Yehoshua ben Nun, Joshua the son of Nun, lived until the age of 110. He was the successor to Moses, and brought the nation of Israel into their homeland. It is believed that Yehoshua authored his own book with help from the High Priests, with exception to the final chapter, which was authored by Eliezer and Pinchas. It is the sixth book of the Tanach, and the first book of the prophets. Haftorahman's lesson of the week: Yehoshua was the perfect student, never leaving Moshe’s side, even while Moshe learned in his tent or slept! Yehoshua feared missing one word of Torah or one moment of teaching. The connection between master and pupil is a sacred one. In essence, the teacher imparts life experiences and lessons so that the successor can live a better life enriched with the wisdom of the master. Many nations have tried to destroy the Nation of Yisroel, but the Torah has sustained us. Torah Sheh B’eal Peh is the spoken Torah that has been transmitted through the generations by the Torah leaders. Judaism has survived due to this transference from teacher to students, father to sons. Continuity of ideas and laws of the religion are integral to our survival as a People. We should dedicate a part of our lives to preparing the next generation, teaching them to be teachers. Timeline: In the year 2188 or 1273 B.C.E., Moses passed away and Bnei Yisroel crossed the Jordan River into Canaan. 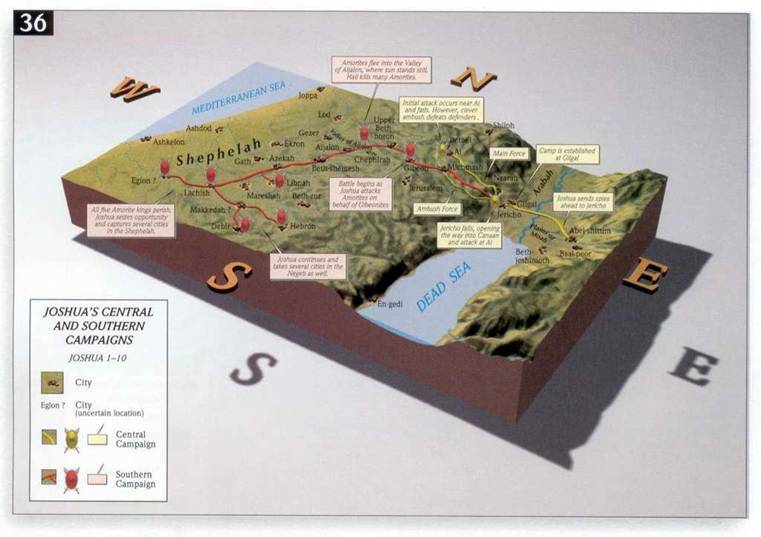 By 2495 or 1266 B.C.E., Yehoshua completed conquering Canaan.